For some seeking to buy a home the traditional way of purchasing through the use of a mortgage may not be available. Mortgages are not available to some homebuyers due to credit issues, income issues, work history issues or other reasons. The lack of a mortgage does not necessarily prevent a person from buying a home as there are other alternatives. Those alternatives can be somewhat more expensive and more risky to the person wanting to use them. One of the easiest alternatives to use to buy a home is to pay all cash for the purchase. Now obviously not everyone has access to enough cash to pay for a home outright but for those few who do a cash purchase of a home represents a good way to buy the home and not have to jump through all the hoops of getting a mortgage. Setting aside a large amount of cash to buy a home means there is less cash available for other investments or debt payments. Sometimes there are other investments with better rates of return than homeownership which sometimes can also give negative returns(LINK to behance article) so tying up cash to buy a home may not always be the best move. As noted above when a buyer currently does not have sufficient credit history to qualify for a loan a home seller may be willing to allow a buyer to purchase their home through the use of a land contract. Under a land contract the seller is agreeing to finance the buyer’s purchase of their home. Land contracts are kind of like lease agreements except with a land contract all of the monthly payments are being applied towards the purchase of the home minus any interest payments. Similar to a mortgage land contracts usually have payment terms based on a 30 year amortization schedule with a breakdown between monthly payments for interest and payments on principal. Land contracts are usually written with shorter time frames in mind and usually have a balloon payment due at the end of the time period in order allow the homebuyer to apply for a traditional mortgage or secure some other means of financing. Sellers normally don’t want to be stuck with long term land contracts as the primary reason for selling involves wanting to receive their money sooner rather than later. 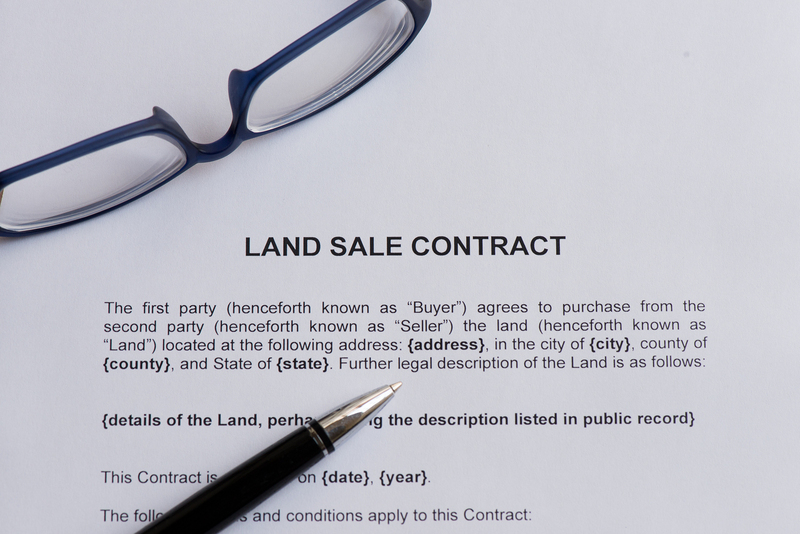 As a result land contracts are not very commonly offered by sellers. The terms of the land contract are determined both by the seller and buyer through negotiations. Sellers usually will seek a higher interest rate in order to compensate for the higher risk associated with directly financing a buyer. Buyers like land contracts since they start to build equity right away as they start paying monthly payments on the land contract which means they can get a lower loan amount down the line when it comes time to refinance out of the land contract. Some of the disadvantages of a land contract are that once in a land contract the buyer is committed to buy the home, unless in the rare case there is some language written into the agreement that would allow the buyer to back out. If the buyer can no longer pay or changes their mind about buying the home then the seller can sue to seek enforcement of the land contract or can file a foreclosure claim and attempt to get back the property through the courts. The foreclosure and/or credit collections that go on the buyer’s credit report will negatively impact their credit score. If the property that is subject to the land contract has a mortgage on it that the seller is responsible for then a land contract may not always work. While the seller is responsible for paying off the mortgage that they took out against the property if that mortgage has a Due on Sale clause then a land contract can jeopardize that mortgage. A Due on Sale clause simply means that if the current owner and mortgage borrower sell their property then they will be required to pay back their loan upon demand by the mortgage lender. A land contract is considered a sale of the property and thus triggering the terms of the due on sale clause. With the due on sale clause the normal thirty years the borrower would have had to pay back their loan is accelerated and all money owed can become due immediately. If the seller is unable to payback all the money owed on the loan the lender can foreclose on the property taking priority over both the seller and buyer in a court ordered foreclosure proceeding. Most mortgage companies put due on sale clauses into their mortgage loans in order to protect their interest in the property. Some mortgage companies may grant permission for the seller to attempt to sell the property even with a due on sale clause but many mortgage companies will rarely grant that permission. Regardless of what the mortgage company will do all buyers attempting to buy a home with a land contract should ask the seller if they have a mortgage and if the mortgage has a due on sale clause. If there is a due on sale clause in the mortgage the chance of buying that home with a land contract is greatly reduced. A Lease with Option To Purchase is traditional lease contract for a home that also includes within the lease document language that allows the person leasing the home (leasee) to purchase it at some later date. Sometimes the lease language gives the leasee first priority to buy the home over another person who wants to buy it or it may reserve the right to buy the home only to the leasee during the lease period. What this means is that for all intents and purposes the leasee is treated as a traditional renter of the property but they have the added right to buy the property at a later date if they choose to do so. Where in the land contract the buyer is committed to buying the property, in the lease with option to purchase the potential buyer does not have to buy if they decide not to. If the leasee decides not to buy the property they will not be subject to any foreclosure actions or negative credit impacts assuming they comply with all other terms of the lease. Lease with options to purchase can have written into the document the option to count some portion of the rent towards a “down payment” on the house. What that means is as long as rent is being paid on time the property owner can agree to count a portion of the rent towards a down payment on the home where if the leasee decides to buy the home the final purchase price will be reduced by the rent credits. For example a leasee is paying $2,000 a month to rent a home and has an option to purchase that home for $275,000.00 at some point in the future. Under the terms of the example lease with option to purchase the property owner is giving $400 dollars a month credit to the leasee that will be used to reduce the final selling price. If the leasee after 24 months of renting decides to buy the home they will only have to pay $265,400 (this is the result $275,000 minus $400 times 24 months) for the property. Some lease with option to purchase require an upfront payment of money in addition to the normal monthly rent. The upfront fee can be used to further reduce the amount of money the leasee would need to pay in order to buy the home later on or it may just be an amount the property owner wants as part of the lease option. 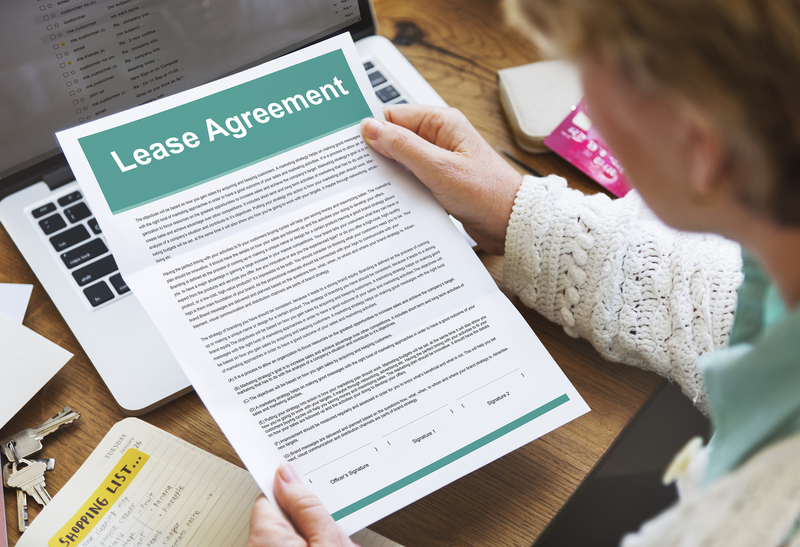 The terms and conditions of a lease with option to purchase are negotiable and both parties should have their own legal review and legal advice provided in order to make sure the terms are appropriate for each party. Lease with options to purchase generally will not affect a mortgage due on sale clause since it is more of a lease of the property with a chance to buy if the leasee wants to buy. With a land contract there is no option to buy, once entered into the buyer is committing to buy the property after a certain period of time. As with anything real estate related everything is local and land contract as well as lease with option to purchase agreements are governed by local laws. When dealing with land contracts or lease with option to purchase it is best to discuss and have the documents prepared by a local attorney who is experienced with that type of work. Both the land contract and lease with option to purchase have different aspects to consider. A homebuyer should explore both options to see which works better with them. About the author: The above article “Alternative Ways To Buy A Home Without A Mortgage” was provided by Paul Sian. Paul can be reached at paul.sian@cincinkyrealestate.com or by phone at 513-560-8002. With over 10+ years experience, if you’re thinking of selling or buying, I would love to share my marketing knowledge and expertise.